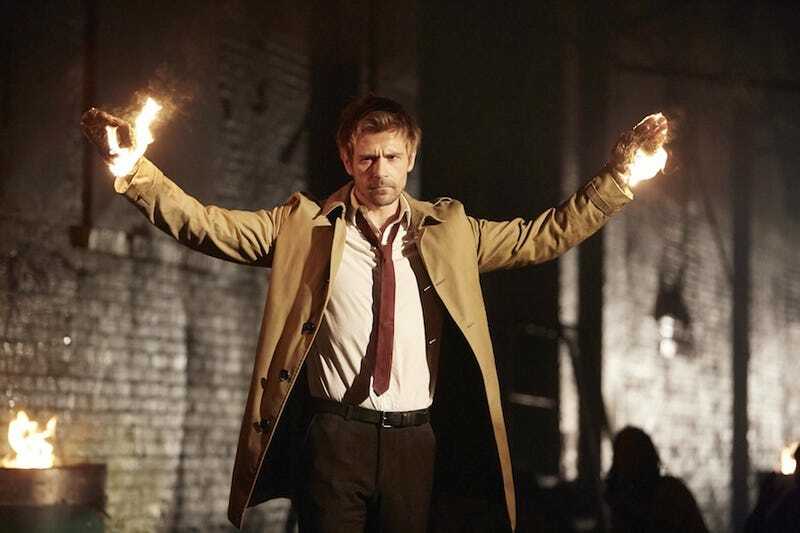 The rising darkness struck a decisive blow against the forces of good when NBC announced it was canceling its beleaguered DC show Constantine, based on the comic popularly known as Hellblazer. However, some surprising stars are coming to the show’s aid in hopes of it moving to another network. The reason that I was going to guest star on Constantine, at least the idea that we were throwing around was he’s an expert when it comes to the Lazarus Pit, which is now something that is a part of and will continue to be a part of Arrow. I’m not 100% sure why William Shatner is getting involved in the #SaveConstantine campaign, but I’m glad to have him. The show wasn’t amazing, but it was stymied by being on NBC at 8:00 pm, and still had a ton of charm — mainly thanks to Matt Ryan’s damn-near perfect portrayal of John Constantine. I wouldn’t advise getting your hopes up for someone to swoop in and saved the series at this point, but I’d be lying if I said I didn’t have hope.